Pittsburgh wins the 2019 Stanley Cup!! the 2019 AFHL Stanley Cup!! Across their 10 seasons, the Pittsburgh Heroes dabbled in hapless hockey and exquisite hockey, boring hockey and effective hockey, but never had they played winning hockey through three playoff rounds, all the way to a grueling, glorious end. It took a team hardened by postseason failures but liberated from high expectations to complete a run as dazzling as it was cathartic, capping it on Sunday night by dispatching the Manhattan Supermen, 8-2, to win the first Stanley Cup in franchise history. Victor Arvidsson scored the final goal of the game with 7 minutes 27 seconds remaining, another powerplay point and eventual game winning tally. The Heroes’ bench erupted, and Arvidsson hopped away as if dancing. The party started in earnest when the buzzer sounded and the Heroes’ bench emptied and swarmed goalie Braden Holtby, who provided an iconic moment of the finals late in the series, when he lunged across the crease to stop an unstoppable puck and post the 4th win of the series for the Heroes. Despite being injured in the final game, Conor McDavid zipped onto the ice, his helmet off and his hands on his head, mind blown that he had just captured his first AFHL Stanley Cup. McDavid, awarded the Conn Smythe Trophy as the playoffs’ most valuable player, struggled to conjure words in an interview with NBC on the ice immediately after the win, and then again when surrounded by the news media. When McDavid hoisted the Cup, he released a primal scream. The Heroes outlasted Manhattan with the same elements that propelled them past Comox Valley and the defending Champion San Diego Gulls: stifling neutral-zone defense, superb goaltending by Holtby and waves of prolific talent headlined by McDavid, Nikita Kucherov and Mitch Marner. Unlike past Pittsburgh teams puffed with stars that collapsed in the playoffs, this group conveyed a certain resilience that infused their play, in games and throughout series. As for the Manhattan Supermen, facing elimination on Sunday, they confronted their predicament with defiance. Opening their pregame festivities, a video implored fans not to give up — if the Boston Red Sox in 2004 and the Cleveland Cavaliers in 2016 and the New England Patriots in 2017 could overcome imposing deficits, then so, they hoped, could Manhattan. In contrast to these Supermen, when Pittsburgh GM Jason Henley took over the Heroes, the team compiled a record that is regarded as one of the worst seasons in league history as Henley began a total rebuild. After several drafts and many trades, the franchise has matured and is now considered a perennial contender in the AFHL. All around him in the stands were thousands of Heroes fans, if not more, who assembled an hour before face-off, chanting, “Let’s go, Heroes!” Clad in yellow, they soon filled in sections in the upper and lower bowls, forming a far larger presence than they had in either of the first two games here, and it seemed like the entire arena stood and screamed joyously after Arvidsson scored. Henley has discussed the Heroes’ postseason struggles openly, often comparing his teams to others that foundered before winning, like the Islanders dynasty of the early 1980s and the Detroit Red Wings of the mid-1990s. For years, the Heroes took and took and gave and gave, and now, with nothing more to take and nothing left to give, there is but one thing left for them to do: celebrate. Because they, after 10 seasons, are finally champions. Fans will have a chance to celebrate the Pittsburgh Heroes’ 2019 Stanley Cup championship at the Heroes Parade, scheduled for next Monday at 11 a.m. in downtown Pittsburgh. The route will begin on Grant Street at Liberty Avenue, travel along Grant Street to the Boulevard of the Allies, turn right onto the Boulevard of the Allies, turn right onto Commonwealth Place and end at the intersection of Penn Avenue and Commonwealth Place, at the entrance to Point State Park. A stage will be set up on the lawn (city side) of Point State Park, where Heroes players, coaches, broadcasters and other team officials will make celebratory remarks. Heroes players and hockey operations staffers will ride in vehicles provided by RAM Trucks, the official truck of the Heroes. Once at Point State Park, Heroes players and coaches will take part in the Championship Celebration presented by KeyBank. 15th Avenue and Smallman Lot, at 1501 Smallman St.
KeyBank also will be distributing water and premium items at the main stage and via mobile “pedicabs” riding along the route. In addition, KeyBank will activate a mobile photo share experience where roaming photographers will walk the parade route to take photos of celebrating fans. The photos will be emailed to each fan, who can then follow a link to a branded retrieval page to download it or share it socially. What all rebuilding teams aspire to do. Great job Jason. Congratulations to the Pittsburgh Heros! There will be a new team name on the Stanley Cup when the 2019 Stanley Cup Final is finished. Will it be the Manhattan Supermen, who have waited 10 long seasons and were defeated the one time they made it to the Finals in 2013? Or will it be the American Conference winning Pittsburgh Heroes who lost in the Finals during overtime in Game 7 to the Gulls in 2017? Pittsburgh has been dominant all year, defeated the X-Men in Round 1 and the defending champs in Round 2. But it was the AFHL Stanley Cup that stole the spotlight at Media Day on Monday. 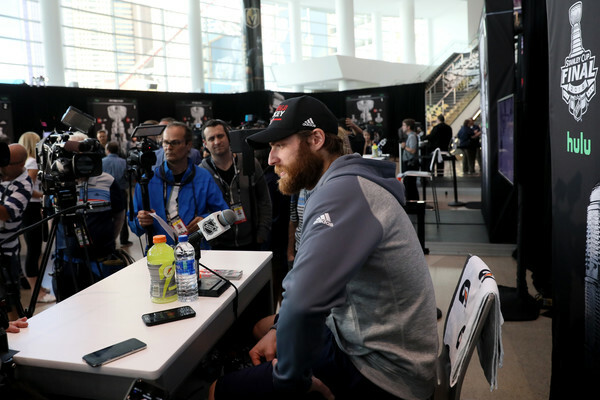 For a few hours, in four groups, players and coaches on the Pittsburgh Heroes and those of the Manhattan Supermen answered hundreds of questions during 2019 Stanley Cup Final Media Day at the Heroes home ice arena. And yet the players would scarcely even glance at the Cup, much less study it. There are customs in hockey that are to be obeyed, and this was one: feel free to look quickly, only in passing, but do not touch until you’ve won. Both teams have been here once before but neither team has actually won the Holy Grail. 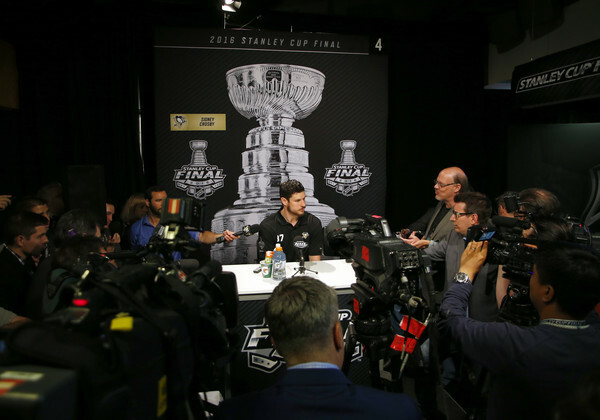 If the players were politely ignoring the Stanley Cup, they were happy to pay it reverence with their thoughts, considering aloud what they find most beautiful about it. “Even people who don’t necessarily know what it is, when they see it, it commands that attention. That’s pretty special. 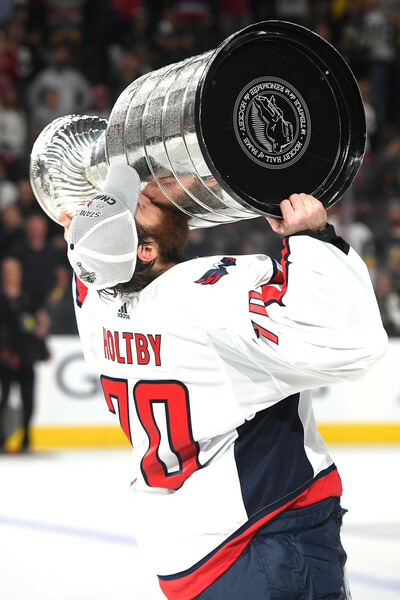 And just what guys have gone through and played through to get it, the experiences with it after, everything that comes along with it, the joy that comes along with winning, all those things combined,” Holtby said of the Cup’s magic. 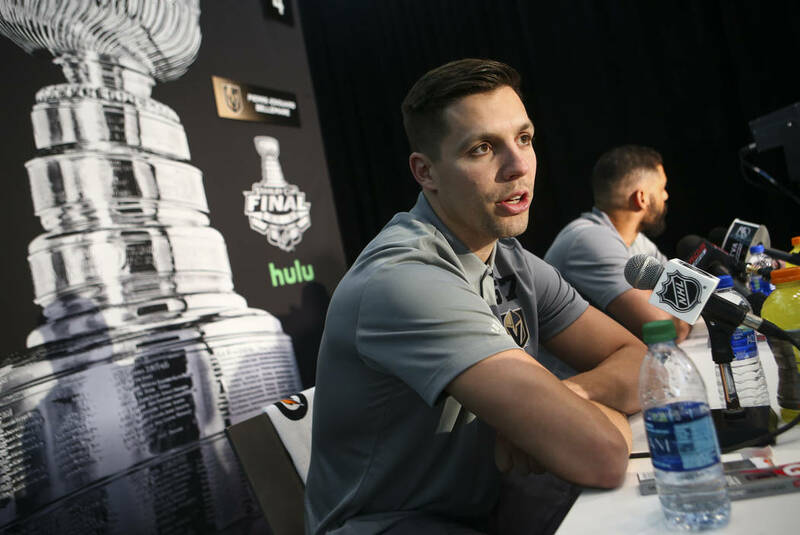 David Perron, one of Manhattan’s key trade deadline acquisitions, was seated Monday just a few stick-lengths from the Cup he’s played for once but not won. Heroes forward Nikita Kucherov, who won the Cup before with the San Diego Gulls, spoke to the trophy’s history. Heroes captain Conor McDavid, too, is dazzled by the Cup because it is both perfect and imperfect. Manhattan area sports fans went to bed in a delirious, blissful state that many hadn’t experienced in a generation. Anyone waking up Monday hoping for an up-close view of the Pittsburgh series opener against Supermen was met with a stern, pricey reality. The cheapest seats available Monday morning on Ticketmaster — the AFHL’s official partner — cost $914 apiece. On StubHub, they were $983. Vivid Seats had one for $828, but the rest were at least $920. SeatGeek listed tickets for as low as $908, a price that jumped to more than $1,100 with fees. To take a family of four to tonight’s Game 1, you would have to fork over a minimum of $3,632. And that’s to sit in the cheap seats. Add in parking, drinks, and food at the arena and your three-hour outing will be pushing $5,000. It was sobering news for Supermen fans who were excited about a Pittsburgh trip. The high prices have forced others to get creative — even if it’s only in jest. As of Monday morning, Michael Spriggs — who had offered up his kidney to raise funds for tickets — said no one had taken him up on his offer, but he wasn’t yet pulling the offer from the table. “I honestly have no idea what the going rate for a kidney would be,” he said. And yet others were ready to pay whatever it will take to get inside Pittsburgh’s Home Ice Arena for Game 1 of the Finals. Another fan and his friends are torn between two choices: going to Pittsburgh for Games 1 and 2, or waiting until Game 5. Not attending any of those games? That’s not an option. Many fans are already expecting tickets to start running four figures by mid-day. Of course, the secondary market for tickets could always drop. The tickets for Games 3 and 4 in Manhattan are similarly priced, which means many Supermen fans — at least non-season-ticket-holders or those who haven’t been saving their money since the team’s last visit to the Finals seven years ago — could be priced out. When Lucas Main dares to dream, it often turns into reality. The San Diego Gulls GM has won the Stanley Cup two years in a row. Now he is looking to make it three. This year however, he said, is different. This year, the immediate goal ahead seems surreal. No matter. In Lucas’ mind, as always, it’s achievable. If Lucas and the Gulls can grind their way through three rounds of playoff hockey in the next month, they would set yet another record as the only team to have won three consecutive Stanley Cups. They already hold the record as the only team to win twice. The significance of the feat is not lost on the Gulls leader. The usually chatty Lucas paused. He was at a loss for words. He nodded in the direction of the banners recognizing the 2017 and 2018 Cup championships on the wall of the Gulls dressing room. “When someone asks me about three, I couldn’t imagine what three would feel like,” he said. “I know what two feels like. You’re pinching yourself because you know it’s so hard and you don’t know how you are going to do it. That group found a way. I think we used more than 30 players to win that second one last year. One he strives to experience. The road to a three-peat will run through the Laval Nomads to start. San Diego and Laval will play in the First Round, the first ever playoff series between the two teams. San Diego hosts Game 1 tonight (7 p.m. ET; NBCSN, CBC, TVAS, AFHL.TV). -Sharks fans can show off their excitement today for the Atlantic City Sharks’ playoff run by stopping by the Renaissance Plaza Mall and taking a picture in the Sharks’ Penalty Box. -Fans are encouraged to show off their picture with #GoSharksGo on Twitter or Instagram and they might just win a Sharks’ signed items, “Go Sharks Go” merchandise, or even playoff tickets! -Starting at 4:30pm, Plaza De La Maurice will feature multiple events right outside the mall including barbers shaving the Vikings logos on fans heads, tattoo artists tattooing free Vikings logos (up to a certain size), and face and hair painters. -From 10am to 8pm, fans can stop by Morgenstern’s in Manhattan to celebrate the Supermen being back in the playoffs with one-of-a-kind Supermen ice cream and lots of free giveaways. -The Comox Valley X-Men are inviting fans to line outside their home ice arena to wish the team good luck when they travel to Pittsburgh for Game 1. -Fans are asked to bring posters and signs and should be lined up by 10:45am. -The Chiefs are doing a lot of fun stuff right outside their arena leading up to game time tonight. -Fans will get a chance to play interactive hockey games, enjoy live music and special appearances by current and former players. -Anyone who purchased a ticket to tonight’s game will receive a battle towel at their seat presented by Toyota. The 2018 AFHL Entry Draft is scheduled to begin on Tuesday, July 3rd @ 8am EST. The Trade Freeze will end on Tuesday, July 3rd which means all teams can begin trading again at the start of the draft. Teams will not be allowed to sign any free agents until AFTER the Entry Draft is completed. 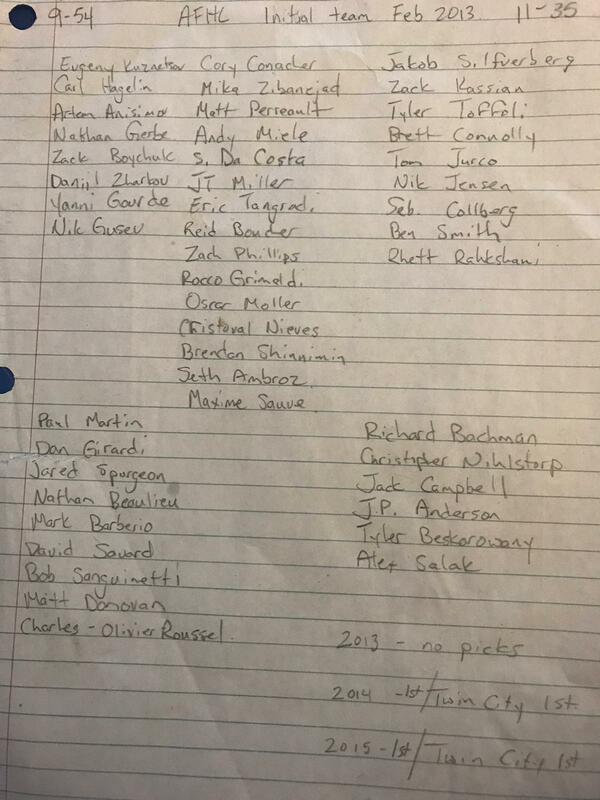 Just like last year, we will have a one round Free Agency Draft based on the reverse standings from last year. After that one round then Free Agency will be a free for all. The Amazing Fantasy Hockey League (AFHL) is a lifetime keeper fantasy hockey league that consists of 20 franchised teams, of which 10 are located in Canada, and 10 are located in the United States. The AFHL is in no way shape or form affiliated with the NHL or the NHLPA and all teams logos and players names are their property. Powered by Furino Productions Inc.